This quilt of bright, bold colors will put a smile on any child's face. 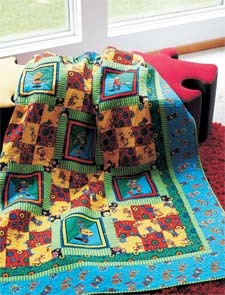 Designer Nancy Mahoney used two simple blocks to show off the fun fabrics from P&B Textile's Nuts & Robolts collection. Finished Size: 77" x 89"